Hard cover, 924 pages, 245mm x 170mm, 114 b/w photos, 7 maps, 10 charts. and from specialist book shops. An incredibly detail look at the Luftwaffe history in the pre-war years and how it was structured. Maybe at times there is too much depth and detail. This is an incredibly detailed look at the pre-war Luftwaffe. For avid Luftwaffe modellers or history buffs, then this may be the definitive tome for you……but you may want the other volumes as well. As a professional historical geographer with an all pervading interest in all things aeronautical, Richard Meredith brings a unique insight into the past realities of the wartime German Luftwaffe. Based on forty years of detailed research, Phoenix - A Complete History of the Luftwaffe 1918- 1945is a unique history of the wartime German Luftwaffe. Going far beyond a simple description of famous air battles and operations, the overall work draws extensively on original documents, secondary sources and contemporary accounts to place the Luftwaffe within its proper historical context, gather together its many disparate components and provide a hitherto unpublished balance to its diverse activities. 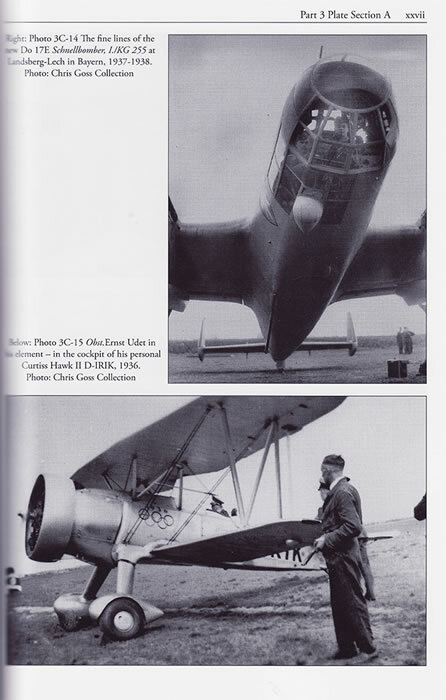 Volume 2: The Genesis of Air Power 1935-1937 covers a still neglected area, namely the early years of post-Reichswehr development from March 1935. 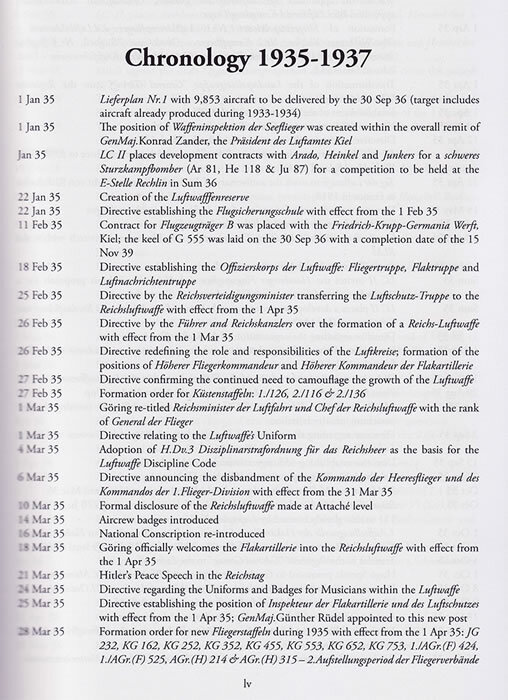 During this period the concept of operative Luftkrieg was formalised, operational commands established, new units and bases created, new equipment introduced and the training of personnel expanded. 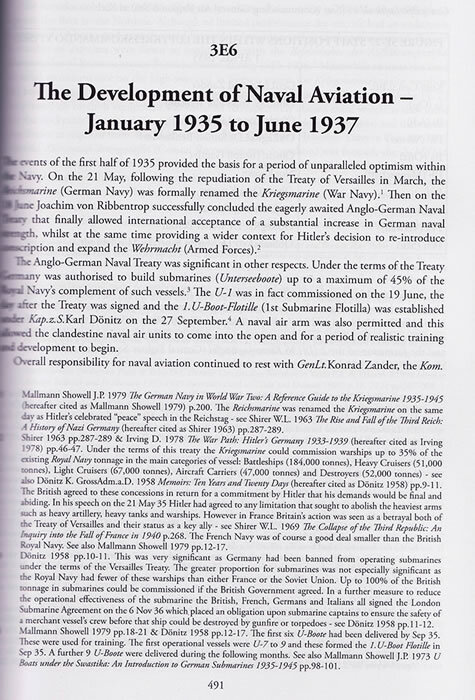 Key studies include: the formation of the Flakartillerie, the Luftwaffe General Staff, Luftwaffe uniforms, the construction program of 1935- 39, the development and production of new combat aircraft and weapons, flying training, the Luftwaffen-Reserve, the supply organisation, the development of the Regiment General Goring and the re-militarisation of the Rhineland. In addition the Luftwaffe's involvement in Spain is considered in depth from initial operations by the German volunteers to the deployment of the Legion Condor in the battles around Madrid and on the Northern Front. The structure of the Phoenix Project is unique. Five major themes run throughout the history's constituent volumes- (A) Strategy and Command, (B) Ministerial Activity, (C) Technology and Production, (D) Infrastructure and Training, and (E) Operations. 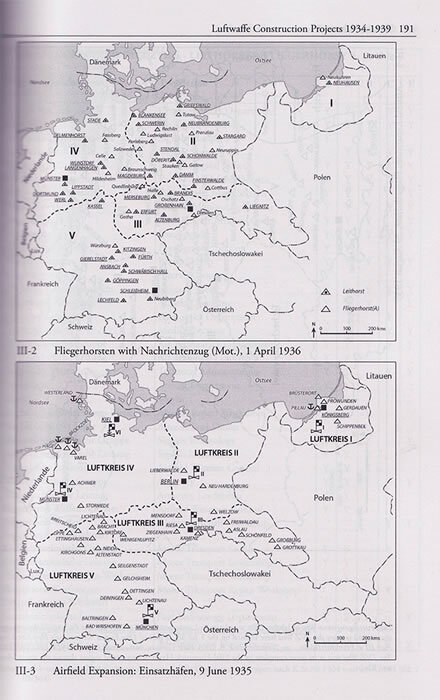 These divisions enable the reader to pursue particular areas of interest throughout the overall work or to look at the inter-relationships between the various aspects of Luftwaffe activity. First up, please bear with the blurry edges of the scans, as the size and thickness of this tome made it next to impossible for complete page clear scans. Secondly, a warning, this is a large heavy physical book, so beware of falling asleep holding it. Not only is it a heavy book but the content at times is heavy as well in its extreme detail. I am not an avid Luftwaffe modeler, so much of the terminology, and structure of the Luftwaffe did not make a great deal of sense to me, but I am sure it would to the committed Luftwaffe modeler or history buff. 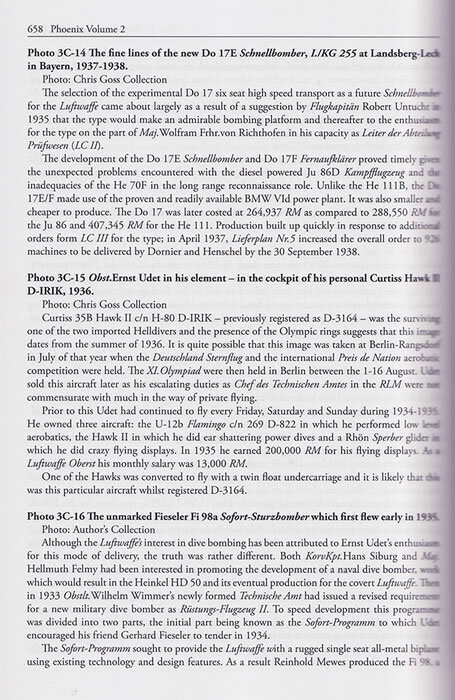 The book opens with a number of various detailed glossaries with terminology, abbreviations, personnel names etc. What I do like about this book is that there are a large number of historical B&W photographs presented, and to go with then, as an appendix, there are detail notes for each of the plates. See the scanned pages for examples of this. 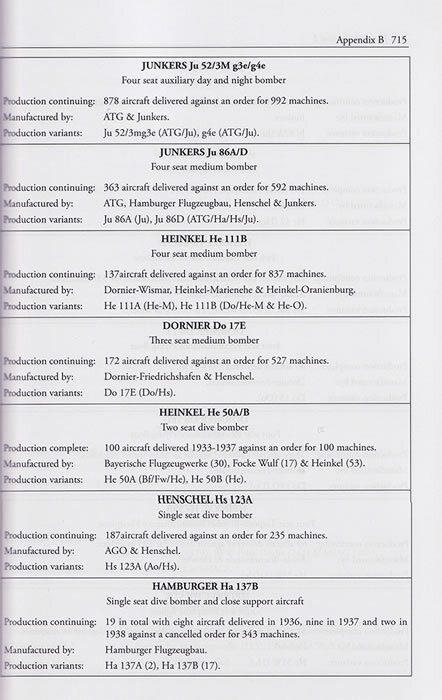 There are a number appendices at the rear giving details of aircraft used, engines used as well as unit details. This is certainly a detailed and thorough historical account of the Luftwaffe in the Pre-war years. 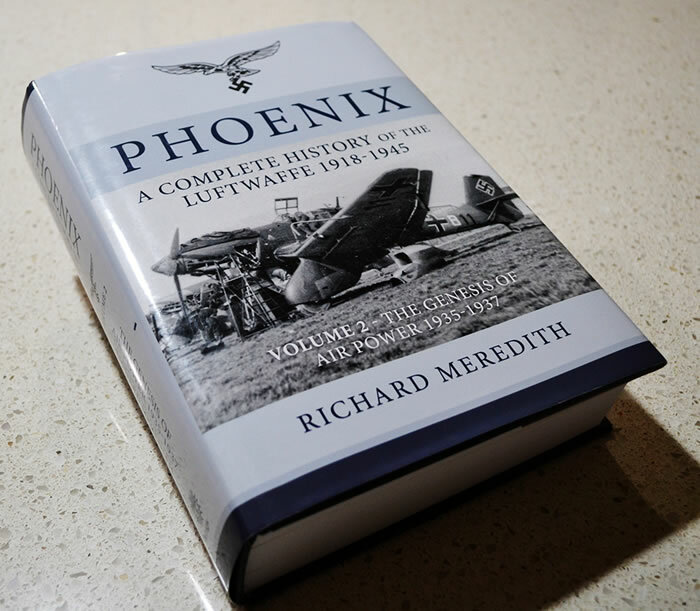 For the avid Luftwaffe modeler or history buff, this series of books by Richard Meredith will supply every detail you could possibly want on the subject. 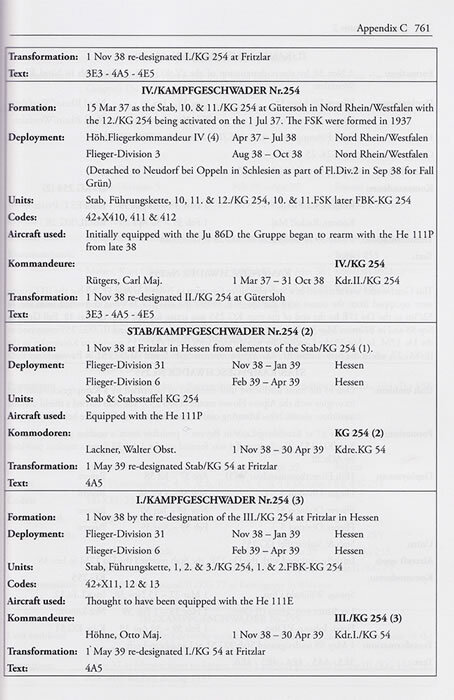 Of course, what this means is, you will need to purchase the previous volume and the forthcoming volumes to ensure you have the full history of the Luftwaffe and not just keep it to this volume.